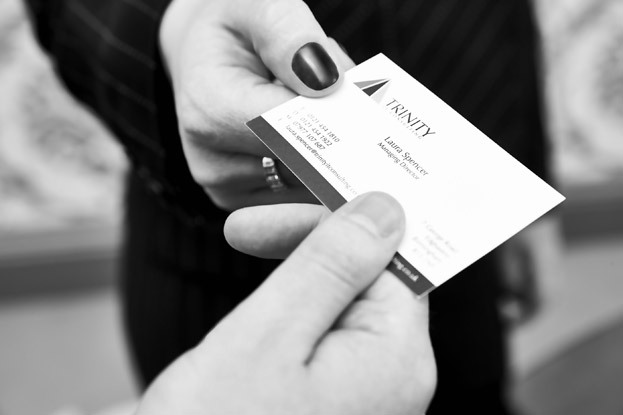 Trinity strongly believe we offer a distinctive service in the IT recruitment marketplace. We are not a large corporate giant, nor are we a traditional, boutique SME. Our structure, our people and our approach is one that is unique. Boutique service with corporate reach – you benefit from the personal, flexible service of a boutique SME agency with the infrastructure, reach, security and financial backing of a £500million corporate organisation. Specialists – we are not generalist recruiters chasing every role available on the market. We specialise solely in 3 niche practice areas with deep knowledge of each market’s intricacies and the available talent pool. Trinity have a proven track record of successful delivery in each specialist area, and can provide you with expert market intelligence around the specific role you seek to recruit. Our Values – we passionately believe in integrity, partnership, dedication and simplicity. These aren’t just words that we throw around at Trinity – we vehemently uphold our values through our actions, our words and our work ethic, making your experience of working with Trinity a positive and professional one. Experienced consultants with 18 years+ track record – you have complete confidence of working with mature IT recruitment experts, with the security and peace of mind that you are dealing with a highly experienced outfit. Creative candidate generation – using both traditional and innovative methods to ensure thorough market coverage, including online, social media and press advertising (where appropriate), specialist database mining, proactive headhunting/search methodologies, networking forums, running thought-leadership events, referrals and recommendation schemes. Rigorous screening processes – the candidate interview process involves rigorous qualification over the course of several conversations/meetings. Wherever possible we interview candidates face to face, and always take a minimum of two references from previous employers and peers. We fully qualify reasons for job moves, personal circumstances, current and aspirational career motivations, sector and project background, size and scope of projects worked on, leadership style and experience, technical knowledge, educational background, industry qualifications, behavioural competencies and cultural fit for your organisation. No extensive “off limits” lists – we only partner with a select portfolio of clients in each industry sector allowing us to maximise our search pool within competitor organisations. In–house research capability – experienced research function ensuring consultants are provided with expert market intelligence, competitor analysis and administrative support to deliver an accelerated and seamless service to clients. Recruitment methodologies – we offer a variety of recruitment methodologies including traditional search and selection and contingency based recruitment services. Furthermore we can provide one-off contractor resource through to staffing complete project delivery teams, and can provide volume resource or RPO services when required by leveraging resources from PNG Ltd.
Clear fees & timescales – no hidden costs or surprise charges, we agree a transparent process and fee structure in writing at the start of the assignment.